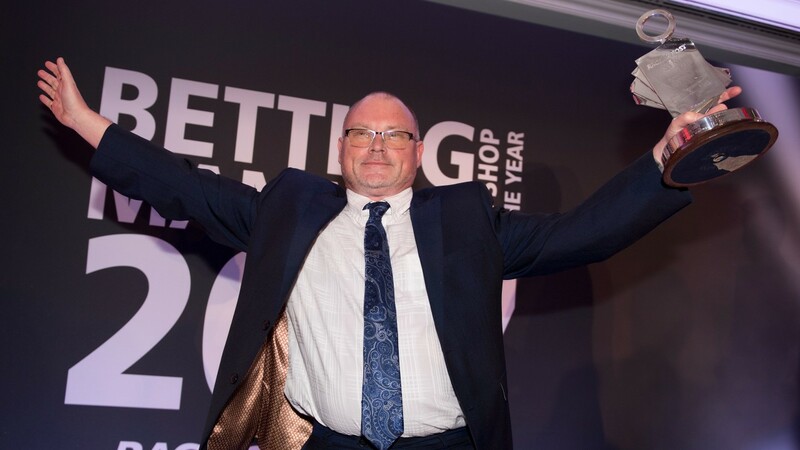 A career in betting shops spanning 40 years was recognised on Monday when Ron Hearn of JenningsBet was named Racing Post/SIS Betting Shop Manager of the Year for 2017. Hearn, the regional champion for Greater London, beat seven rivals to receive the prize from ITV racing presenter Ed Chamberlin at the Jumeirah Carlton Tower hotel in London in what was also a victory for the independent sector. The 57-year-old has been with JenningsBet for the last six years, having started his career with William Hill a few days after leaving school in 1977. Hearn said: "I was far too young to even take a settling test so they put me on the boards for a year and I was general dogsbody making the tea. I got through the first year, took the settling course when I was 18 and passed it first time. "I remember my mum saying to me it will do to tide yourself over before you make up your mind what you want to do. "I suppose I really have to stay in the game now – I was going to make my mind up after Christmas!" Between William Hill and JenningsBet, Hearn worked for the bookmaker John Humphreys – managing a shop at Orpington as well as clerking at Crayford and Catford greyhound tracks – before moving on to Michael Tabor's Arthur Prince chain of betting shops. From there he joined Coomes in 1994, taking over two years later as manager of the shop by Charlton Athletic’s football ground The Valley, where he has stayed ever since. He added: "Some of my customers have got kids who are coming in aged 18, 19 and 20 and with some of the original customers I have probably served their dads at some time so there are three generations of customers in one shop. At the end of the day they are your future. "In an ideal world, with each customer who comes in the door you have got to make them think they are the person you have opened the door for." He went on: "I still think it is a great industry. The thing is you need to encourage a few more youngsters in who are going to see it through." Hearn also paid tribute to his fellow finalists and other managers he met as he went through the judging process. "The eight finalists here have been exceptional," he said. "We formed a really strong bond at Doncaster in October and when they announced the regional winners on SIS you just felt sorry for some of the mates you made a week earlier who hadn't got through with you. "We've had two fantastic days this weekend; it has been unbelieveable. "It is nice for an independent to win it and also for a little bit of recognition. After 40 years, I can now say every day was worth it." 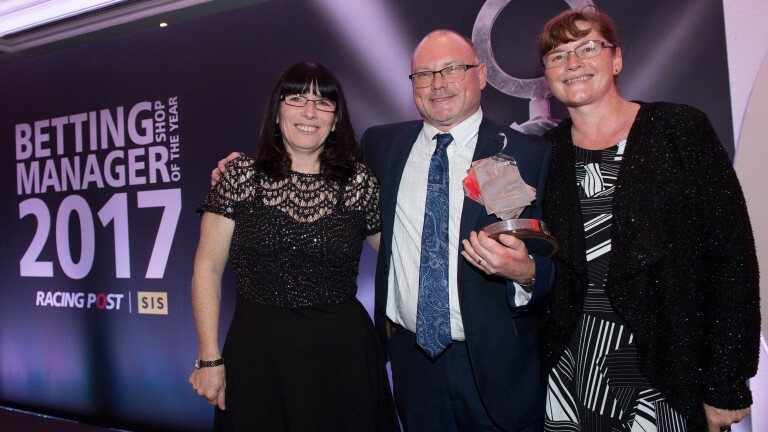 Hearn's victory was the first for JenningsBet in the 30 years of the competition and the firm's managing director Greg Knight was proud of the achievement. He said: "It means an awful lot to the company because we have got a lot of experienced managers of 20, 25, 30 years plus and it is a recognition for them. "I also think it's a recognition for the independent sector. You've heard Ron's background – steeped in independent bookmakers over the years and it just shows how important it is. "It is about community. Ron's worked in that shop now for 21 years, he knows everybody locally. He is part of the community and I think that's extremely important. I am just made up for him personally." As part of his prize Hearn – who has a wife, Julie, and a daughter Amy from a previous relationship – wins a VIP trip to one of Singapore’s major race meetings next year, courtesy of the Singapore Turf Club. He and his team will first be guests of SIS in their Ascot box next month.